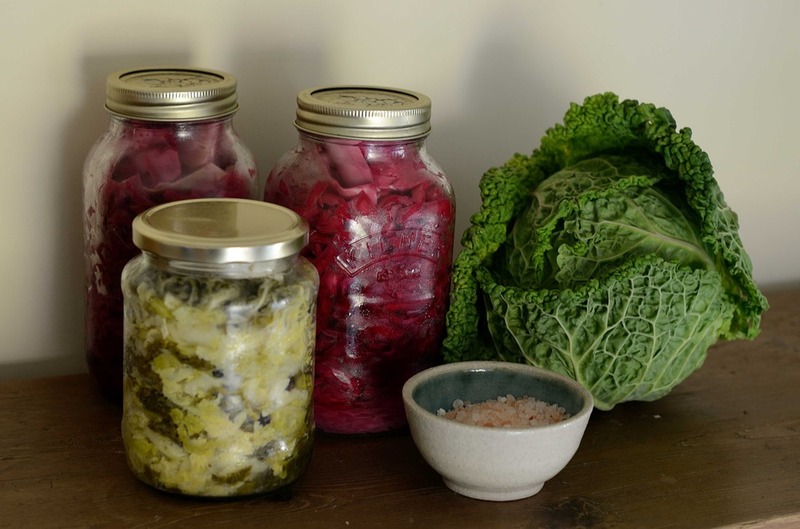 Fermented foods are certainly on trend right now! Unlike many food fads that have very little credence, fermented foods are actually the real deal. And now they’re becoming the staple of people’s diets and featuring on trendy restaurant menus. However, if they’re eaten regularly, they can certainly help to keep hormones in check. And that’s got to be good news for the millions of women struggling with the menopause. But firstly, what is fermentation? The process of fermenting food has actually been around for many thousands of years. Indeed, eating fermented foods is the mainstay of Japanese culture and is thought to be one of the reasons for their balanced hormone health (both women and men). To better understand, the digestive system is packed with billions of bacteria (mainly good) that are incredibly beneficial to health. They help to keep the digestive system running in smooth working order, boost the immune system, detoxify the body and help manage the body’s natural inflammatory response, balance hormones and protect the body from serious degenerative diseases. The process of fermentation encourages the production of these beneficial bacteria; put simply, the more fermented foods we consume, the more beneficial bacteria we have! Live natural yoghurt is one great example of a fermented food. The process of fermentation merely allows the natural sugars and salts (together with added salts), within the foods to create good bacteria. It also helps to preserve foods over a longer period of time. Kefir is now readily available in supermarkets and health food stores and becoming ever more popular. It’s a fermented milk product that’s from either sheep’s, cow’s or goat’s milk. It provides wonderful benefits for the digestive system, particularly helping to ease bloating and symptoms of IBS. It’s also great for the immune system because it contains a high percentage of friendly bacteria. It’s not the easiest of food to include in your diet. However, It’s naturally quite sour so is best combined with fruits or yoghurt, or can be used in any recipe as an alternative to buttermilk. A great breakfast ingredient! Probably one of the most popular fermented foods, sauerkraut has been eaten for hundreds of years throughout Central Europe. It’s very simply made from chopped cabbage that’s fermented in salt. However, as with fermented dairy products such as yoghurt and kefir, the food is taken to another level in terms of its benefits to health. Probiotic foods, including sauerkraut, are going to deliver huge benefits to the digestive system. Additionally, more B vitamins are naturally produced as well as beneficial enzymes, which are used for many essential body processes. It’s actually very easy to make at home; simply chop one head of white (or red cabbage) into small shreds. Add some salt and pack tightly into a jar with a close-fitting lid. This needs to be left for about a week in a warm place and you’ve then created your very own super food! Another very fashionable food right now, miso is a traditional Japanese ingredient that is produced by fermenting soy, usually with salt, to make a brown paste. Miso is actually best known by women struggling with menopausal symptoms and people suffering from other hormonal complaints. Soy naturally contains phytoestrogens; plant foods that have an oestrogen-like activity and a hormone balancing effect on the body. In fact, there are probably around 300 different foods including fruits and vegetables seeds, legumes and grains that have the same effect. Phytoestrogens became of interest to scientists when they realised that women in certain traditional cultures in Japan, eating a diet high in soy and other phytoestrogenic foods had fewer menopausal symptoms than Western women. It seems that these foods help combat the effect of the perimenopause and the menopause; they really help to balance the hormones. One of the most common ways of eating miso is in a soup and there are number already produced in the supermarkets or health food stores. Alternatively, to make your own, you simply need to mix some tofu, nori (a type of seaweed), onions with water and miso. That’s it! The main point to remember is not to boil the miso if possible as this can reduce its health benefits. Fermented foods need no longer be a mystery and they can really help women better cope with hormone havoc!